I love this heart-shaped do! 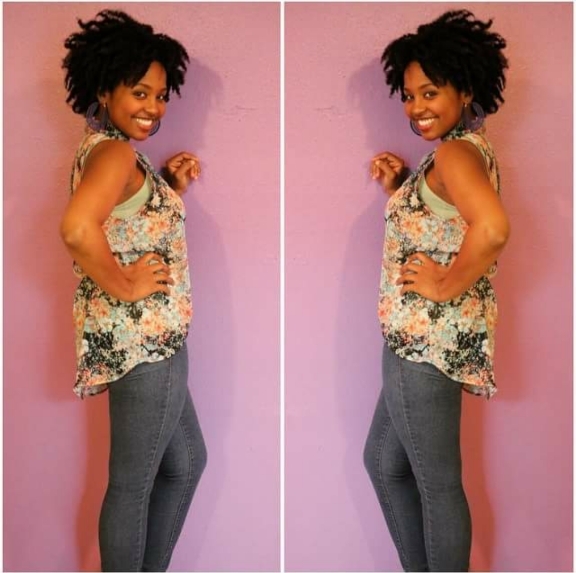 This naturalista is also the owner of Dope Crochet where she designs and makes accessories like the earrings she’s wearing and kid stuff. Check her out at http://www.dopecrochet.com.